Following in the blogsteps of my favorite Creampuff, I'm going through a lemon phase. I purchased and have become enamoured with Lemon Zest by Lori Longbotham, a charming, fresh cookbook full of innovative citrus twists. I filled a drawer of my fridge with lemons; I made lemon oil, lemon ice cubes, frozen zest, lemonade, lemon cream pasta, lemon tilapia, chilled lemon-tomato soup, lemon all-purpose cleaner, lemon salt scrub, lemon facial cleanser. And since I just couldn't get enough, last night I made Iced Lemon Corn Muffins (because, as we all know, a muffin is just a very small pie). This isn't a recipe from the cookbook, but I think Ms. Longbotham would approve of its extreme lemony deliciousness. Preheat oven to 400°F and line 15 (1/3-cup) muffin cups with liners, dividing evenly between 2 pans (muffins cook more evenly with empty cups among them). Whisk together flour, cornmeal, granulated sugar, baking powder, salt, and zest in a large bowl. Whisk together butter, milk, yolks, and whole egg and stir into flour mixture until just combined. Divide batter evenly among cups (each cup will be about three fourths full). Bake in middle of oven (or upper and lower thirds if necessary) 15 minutes or until tops are golden and a tester comes out clean. 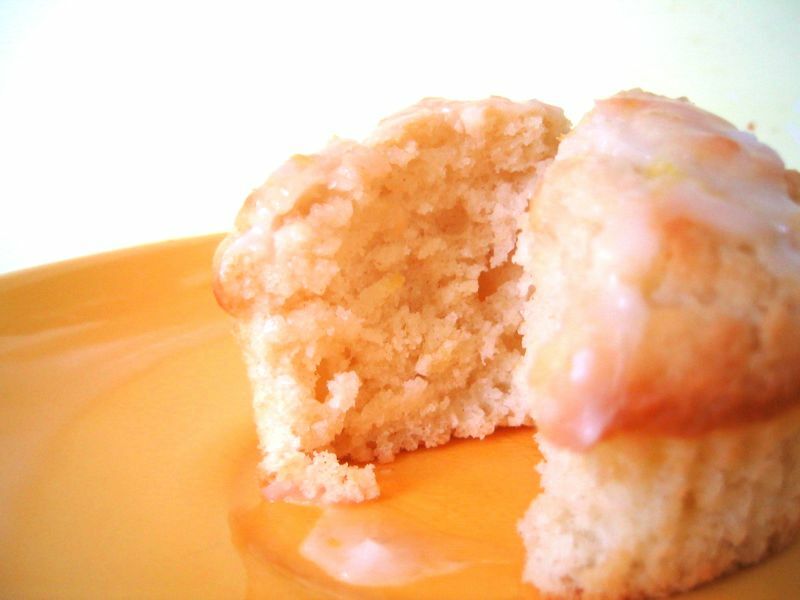 Remove muffins from pans, cool 5 minutes, and ice. Serve warm. Icing: Whisk zest, juice, and sugar together. Spoon gently onto warm muffins; drizzle remainder on serving plates. I am most certain that Ms. Longbotham would approve! What wonderful muffins ... they look delicious! 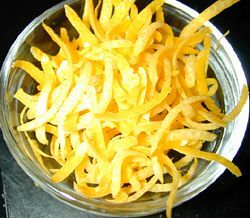 And I'm so glad that you are loving "Lemon Zest". Isn't it fantastic! I totally want to go out and buy that cookbook too! I LOVE LOVE LOVE LOVE LOVE lemons. Love. I love, love, love lemons too--and those muffins look so good. I love the cornmeal crunch. I'm not much of a sweets baker, but this recipe is going to motivate me to pull out the cupcake liners (if lemon and cornmeal can't do it, nothing can!:-). Thanks! Oooh that sounds wonderful. I'm a fan of anything that's iced!